Panasonic AG-DVX200 4K Camcorder is a powerful camcorder that has all the right features to make it a superior professional camcorder. A number of people, however, are quick to discredit it because of its fixed lens where an interchangeable lens makes more sense for a 4K camcorder. A quick look at the camera market will show you that fixed-lens camcorders are lagging behind in a cut-throat competitive market. But this is the only downside and anyone looking for a camcorder to shoot sports, professional interviews, film or wildlife will find the Panasonic DVX200 quite useful. Some of the perks of this 4K camcorder include a shallow depth of field and superb form factor. 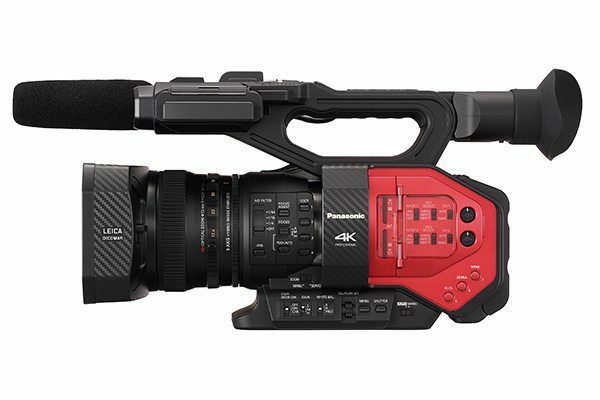 In response to fixed-lens camcorders losing their grip on the market, the Panasonic DVX200 4K became the first camcorder with a 4/3 image sensor. This is double the size of other sensors and helps in achieving high resolution and stunning image quality. The large sensor also allows it a shallow focus and produces a desirable Bokeh effect. The image processing capabilities are outstanding with 12 stops of latitude commonly referred to as V-Log L.
Panasonic AG-DVX200 4K was also the first camera with chromatic aberration compensation (CAC); special lens optimization software installed to reduce the presence of chromatic aberrations that are common with interchangeable lens camcorders. 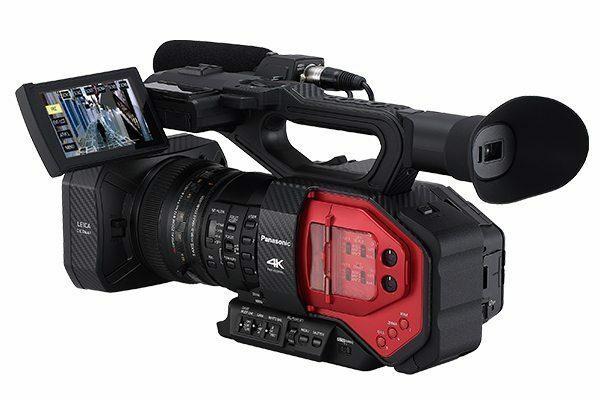 Additionally, the Panasonic DVX200 4K is equipped with the features expected of a professional camcorder such as Full HD, dual codec recording and full auto as well as manual functions for professionals. Panasonic really outdid themselves with the new 4K sensor that produces large and light sensitive pixels and in turn produces sharp, low noise images. The 4K engine processes high resolution image at a rapid speed to achieve stellar images in different formats including UHD/60p, 4K/24p and FHD/60p formats. Additionally, the MOS sensor with a 4/3 configuration is unique to this camcorder and produces the highest quality 4K images that haven’t been seen before in a $4000 fixed-lens camcorder. At first, the images were noisier although this was corrected by the v1.25 firmware that was released shortly after launch. Panasonic AG-DVX200 has a default resolution that it records in; that is the all-I-frame UHD at 23.976 at 100 Mbps bit-rate and 29.976 at 150 Mbps. UHD or Ultra HD has a resolution of 3840 x 2160p and it isn’t very processor-intensive. You can however opt to record in FHD (1920 x 1080p) and make use of the highest bit-rate option of 200 Mbps. Some people opt to shoot in DCI 4K resolution at 100Mbps bit-rate which along with UHD and FHD can be recorded in MOV and MP4 formats. Any lower resolutions are recorded exclusively in AVHCD format. 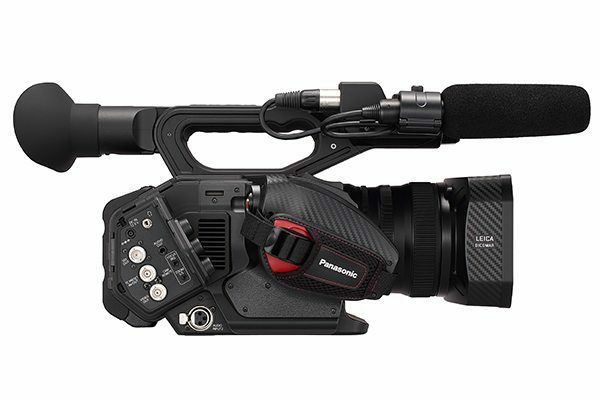 The Panasonic AG-DVX200 is capable of handling 4K recording at 24 fps and 100 Mbps bit-rate. If you choose to exclusively work with UHD and 4K, you will have to use the NLE platform or a faster computer since the data loads will be significantly higher. 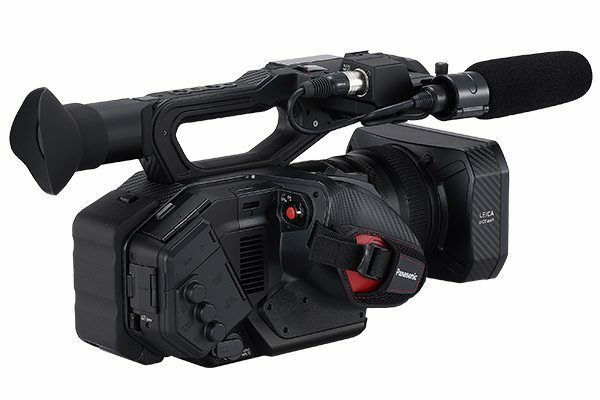 In summary, the Panasonic AG-DVX200 is a powerful 4K camcorder and with the camera-assist features (e.g. Fast Scan) and large image sensor, you are assured of clear, low-noise and high resolution recordings. 3 x ND filters (1/4, 1/16, 1/64). 12 stops of imager latitude recorded by new V-Log L gamma curve. Simultaneous, backup, and relay recording using two card slots. • 50i/50p mode 1/50 sec., 1/60 sec., 1/100 sec., 1/125 sec., 1/180 sec., 1/250 sec., 1/350 sec., 1/500 sec., 1/750 sec., 1/1000 sec., 1/1500 sec., 1/2000 sec., 1/3000 sec., 1/4000 sec., 1/8000 sec. • 25p mode 1/25 sec., 1/50 sec., 1/60 sec., 1/100 sec., 1/125 sec., 1/180 sec., 1/250 sec., 1/350 sec., 1/500 sec., 1/750 sec., 1/1000 sec., 1/1500 sec., 1/2000 sec., 1/3000 sec., 1/4000 sec., 1/8000 sec. Recording Media SDHC memory card (4 GB to 32 GB), SDHX memory card (48 GB to 128 GB), UHS-I supported *When recording video images at 100 Mbps or higher, an SD memory card compatible with UHS Speed Class 3 (U3) is required. *HDMI output of UHD/59.94p/50.00p becomes 8 bit 420. Also, when 10 bit 422 is selected, recording is not possible with the main unit. 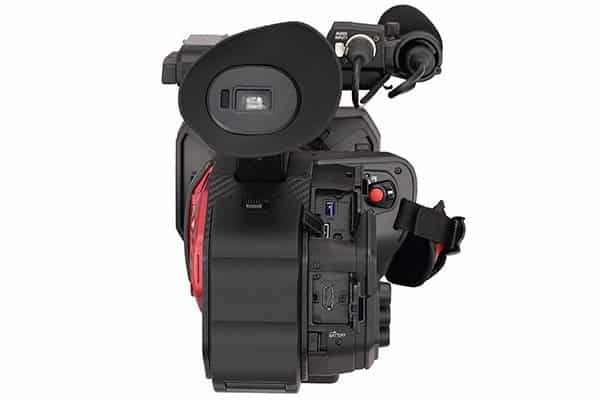 In February, a new firmware version 1.65 has been released for the DVX200. The firmware feature new improvement of V-Log L gradation particulary at the low luminance sector. Besides scene file improvements, there are to improvements color reproduction of recorded still images and camera operability. There are adjustments to GAIN value between -6dB and -1dB or ISO250 and ISO400. For more information for regarding the new firmware, please visit DVX200 website. Would you consider a trade in of my old DVX 102 cameras? You may send me an email describe in detail the conditions of the cameras. Your Guy offer the most competitive in my research. I am happy with it and am using my Atomas 4K shogun to do external 4K recording as a backup, it work perfect. Continuing with the marketing efforts in July, we are pleased to inform that Panasonic will be holding a soft launch in Singapore of our much-anticipated AG-DVX200 camcorder on 15th of July. Please see below initial event details for your reference. A formal invitation copy which you can forward to your customers will be sent to you this week. We are expecting to see potential clients from Film & Media Schools (from Polys and Unis), Video/ Film Rental and Production companies, TV Stations, Indie filmmakers & cinematographers, etc. Guests will get first-hand opportunity to explore the actual working sample plus get more information on the technical aspects of the camera which were not yet available during Broadcast Asia period.